Possibly my all-time favourite writing stunt on the show--Daniel Auschlander's mind goes back in time over the entire fifth season. In the fifth season, we were going through this story where Auschlander was having this mental breakdown--he was kind of getting senile over the course of the season. We wanted to end the season with him in the hospital saying "Where are my toys?," as a baby again. What we did was--Auschlander was seventy-five, so we divided the twenty-three episodes of the season up into three or four year periods. So in episode number one he was talking about things that related to the year it aired--1986. The next week he would talk about things that related to 1983. The next week he would talk about things related to 1980. We'd try to write in such a way so you couldn't tell if he was just remembering it. By the final episode of that season, when he had been reduced to a baby again, if you'd been tracking it you could see him going bit by bit backward in time. We never even told Norman (Lloyd). My point is that only Masius and I knew what we were doing. We never even told Bruce (Paltrow). 503, "A Room With a View" - Daniel mentions Jimmy Carter being at Camp David. Carter was President from 1977 to 1980. 504, "Brand New Bag" - Daniel asks Wayne if Luis Tiant was still pitching for the Red Sox. When Wayne tells him that Tiant hasn't played for Boston for years, Daniel looks a bit confused and says he thought he saw him on the news. Tiant pitched for the Red Sox from 1971 to 1978, and retired in 1982 at age 41. He did a cameo on Cheers in 1983. 505, "You Beta Your Life" - Daniel mentions "a tragedy like Kent State". The Kent State University shootings happened on May 4, 1970. 506, "Not My Type" - Daniel sings the chorus from "Blowin' in the Wind", and comments, "that Bob Dylan can really crank out a tune." The song was written in 1962, recording released in 1963. 507, "Up and Down" - Daniel says he saw La Dolce Vita again the other night, and says that "Fellini's a master." The film won the Palme D'Or at Cannes in 1960. 508, "Nothing Up My Sleeve" - Daniel tells Mark (I think) that he's thinking of buying a T-Bird with cute little portholes. Mark says, "That car's a classic," to which Daniel replies, "too soon to tell." The Ford Thunderbird first offered optional portholes in 1956, and made them standard in 1957. 510, "Lost Weekend" - Daniel asks Mark why the Braves ever left Boston. Boston's National League baseball team moved to Milwaukee before the 1953 season. 513, "Russian Roulette" - Daniel mentions Pearl Harbor and Hiroshima (1941 and 1945). 515, "Getting Ahead" - Daniel is reunited with Margaret Ryan, the woman whom he refused to marry because of their religious differences, only to marry Katherine, a Catholic, seven years later. 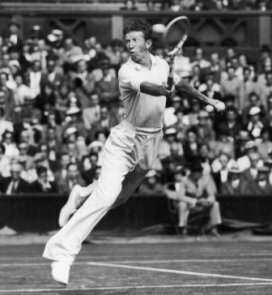 He reminisces about their time together--he mentions that Prohibition had been repealed, recalls the movies The Lady Vanishes (1938), Goodbye Mr. Chips (1939), and Gone with the Wind (1939), and mentions Don Budge winning the Grand Slam, which he did in 1938 (he was the first tennis player to ever accomplish the feat). 519, "Rites of Passage" - Daniel sings the children's song "This Old Man", commenting, "these old nursery rhymes keep popping in my head, I don't know why." 523, "Last Dance at the Wrecker's Ball" - Daniel suggests breaking out the bathtub gin. Later, Daniel collapses in the hospital after it has been cleared for demolition, and is found by Luther and Donald, who set up a bed for him. When he awakes, he mentions Vietnam, Korea, World War II, World War I, and the Spanish American War in succession. When Luther falls asleep, he wanders from his bed to his empty office, drops to his knees and whimpers, "where are my toys?" He curls up on the floor in the fetal position, sobbing. He awakes the next morning, and... tune in next season to see if Daniel escapes the wrecker's ball in time. So they telegraphed that ending scene from the second episode of the season onward. After pausing after 510, it's like they had Daniel reminisce about World War II for a few episodes to foreshadow the return of Margaret Ryan in "Getting Ahead". 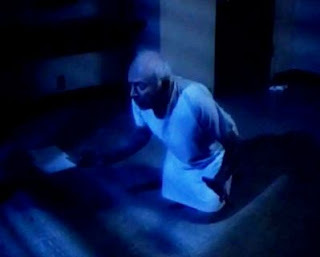 The scene in "Last Dance at the Wrecker's Ball" where Donald witnesses Daniel's slide into dementia as his war references get older and more nonsensical is quite sad. It's possible that I missed some references there. I didn't have any notes after 519, but I'm pretty sure I recall the bathtub gin reference coming in the last one. I think they eased up with the conceit towards the end of the season, but it's also kind of fitting that it's his slide climaxes with Margaret, given the significance of his relationship with her in his life (he still seems to have feelings for her, I thought), which produced a child he never knew he had until "Getting Ahead". Between that and his denouement, I didn't notice anything odd other than him singing the nursery rhyme and the bathtub gin reference. 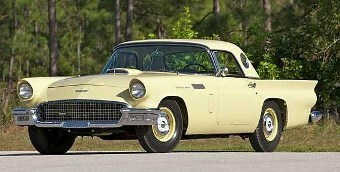 The 1957 Ford Thunderbird. A classic.